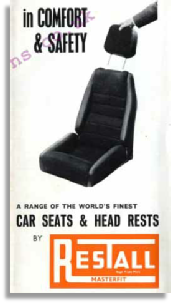 This is by far and away the most popular Restall seat ever produced for the Mini. They can command serious prices even for a tatty original. 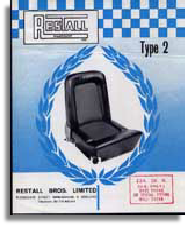 Restall International have been approached on many occasions to re manufacture this seat, something they say the are happy to do, but for a minimum order of 500! and fitting a seat kit. 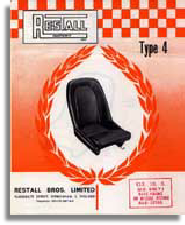 The kits were made by Restall and sold through BMC dealers. 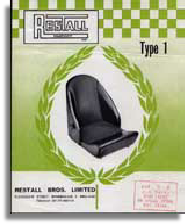 A very nice little brochure specifically promoting the Restall Seat Range for Minis. 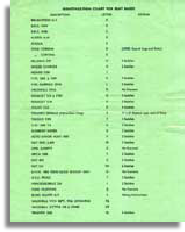 This includes all models manufactured in the later 60’s & early 70’s. 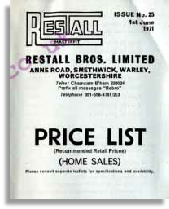 Restall had a network of local distributors by the late 1960’s. 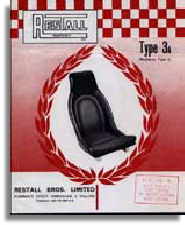 Although not strictly a tuning company Restall Brothers of Birmingham were amongst the first companies to offer any sort of specialist Competition driving seat for a Mini. 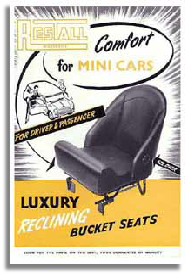 Below, you can see a copy of a flier they produced to promote their Mini Competition seats.